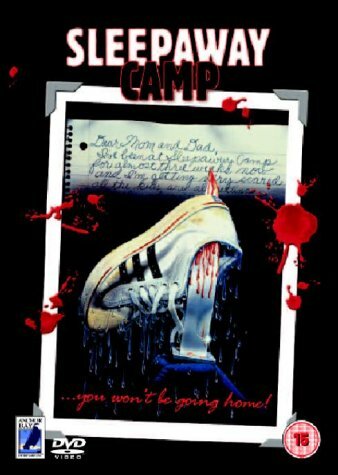 Angela murders a trashy city girl and steals her identity in order to attend Camp New Horizons (formerly Camp Rolling Hills) where spoiled rich kids are mixed up with some of the underprivileged for an ‘experiment in sharing’. 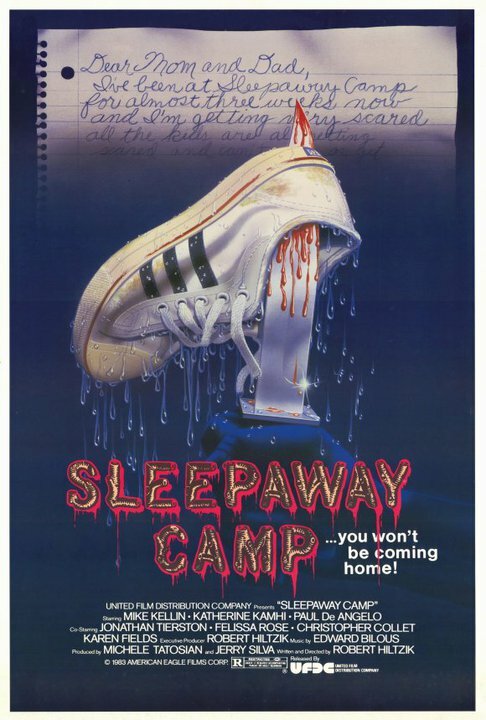 SLEEPAWAY CAMP 3 is one of those films where the unoriginality is a good thing. 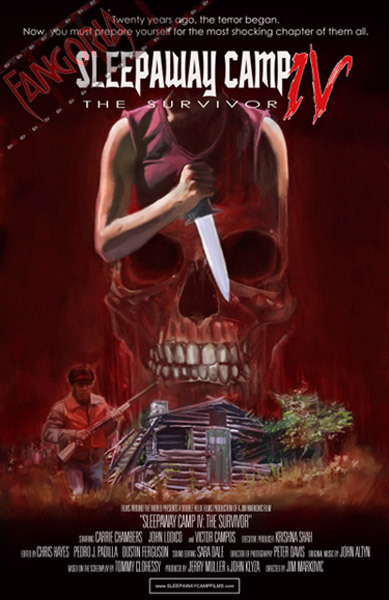 After part 2, all you want to see is more obnoxious metal, more gratuitious t&a, more fun and creative kills, and of course more Pamela Springsteen. Pamela once again has fun with the part, even though filming had only started a few days after part 2 wrapped. 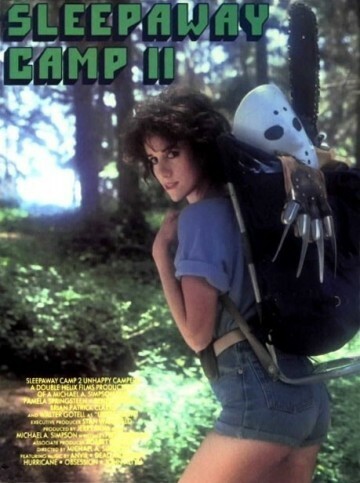 We get to see her kill several more misbehaving teens and adults, we get to hear the Happy Camper song again, and we even get to hear her do an awesome rap. The other characters are pretty fun to watch as well. The teen characters, mostly named after characters from WEST SIDE STORY and THE BRADY BUNCH, add a lot of laughs, especially Kim Wall as the racist cheerleader Cindy, and Kyle Holman as Snowboy. The adult characters were also very entertaining. 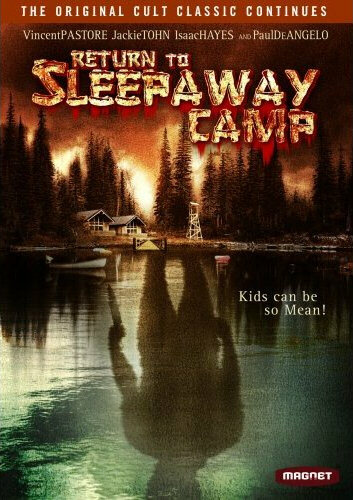 Michael J. Pollard does a good job being weird and perverted, while Sandra Dorsey does great as the lazy camp owner Lily. There’s also a nice subplot with Cliff Brand as Barney Whitmore (Sean from part 2’s cop father), who arrested Angela after the Camp Arawak murders and is supervising to make sure the same thing doesn’t happen again. It was refreshing to see someone who had a personal vendetta against Angela. 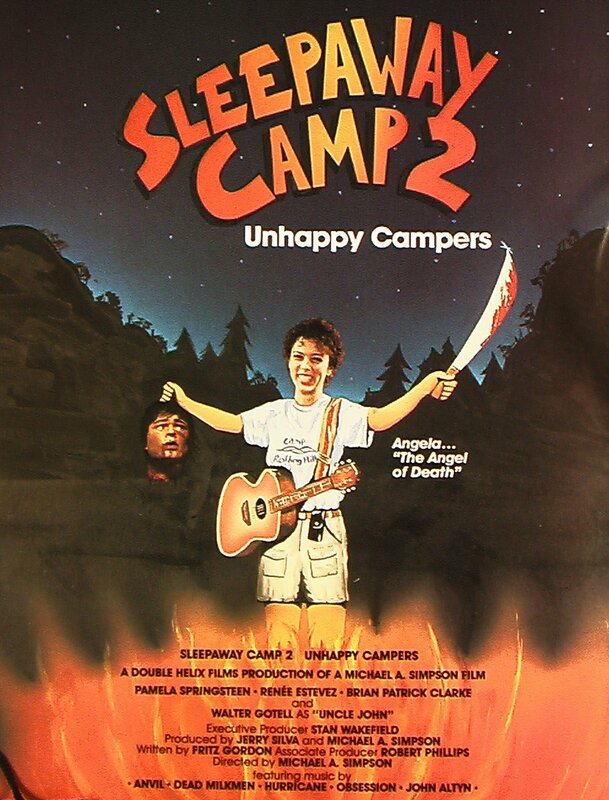 But what would SLEEPAWAY CAMP 3 be without the kills? Angela has so much fun murdering these people, and we have fun watching. My favorite deaths are the lawnmower scene and the flagpole scene, but they’re all very entertaining. 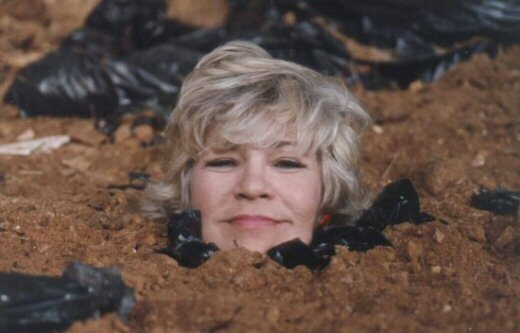 After all the great deaths and witty one-liners, we are treated to a great ending, which makes you wish there was immediately a part 4 with Pamela returning once again.